Epec's global operations and production processes are the key components that have helped us to become one of the premier suppliers of key build to print electronics in the United States. Our national and local customers have come to expect a timely and rigorous procedure that not only delivers the highest quality product, but also delivers that product on time, every time. 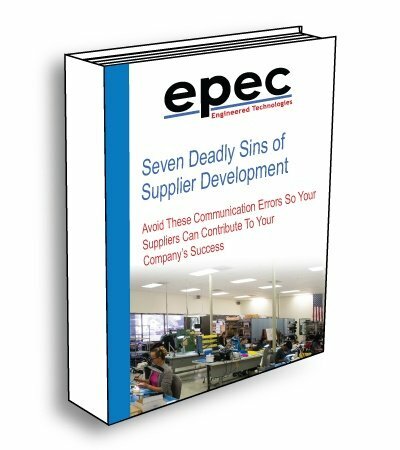 As a world class provider of manufacturing solutions to customers in a range of electronics equipment markets with a broad product offering and a complete range of services, Epec is the ideal choice for an OEM seeking customized product solutions from a focused and agile partner. Our electronic design and manufacturing services core focus is vital in the creation of durable products that require high reliability. Customer focus and dedication to unparalleled excellence in design and manufacturing, has resulted in proven success in the electronics manufacturing industry. Epec is proud to have a global manufacturing and engineering footprint to support our customers. Our innovative electronics development and design activities are performed at worldwide locations. Our facilities are optimized and focused for specific product capabilities.